It’s been a bit since I wrote anything here. We’ve been paying a great deal of attention to the Z-Wave compatible devices we can use with the Resolution panel and it’s getting in the way of the creative process. Which is fine, actually, because our focus is on your locks and those are kind of important to get right. To this point, Z-Wave locks have largely been created with self-keying cylinders. These cylinders are easy to key, but also are easy to pick and are extremely easy to damage… even by simply re-keying them a few times. So we’ve been on the lookout for something a tad bit more secure, and more flexible. Our businesses require key systems, something self keying locks don’t accommodate. Our homes require reliability, something we can’t say the majority of the Z-Wave offerings provide. This is our first introduction, on the lock side, to Home Automation. There are a lot of things we want to get familiar with, but locks just made the most sense for… you know… a locksmithing company. The one in the picture is the YRD226-ZW. It’s the commercial grade (Grade 2) version largely intended for businesses with heavy traffic, or doors that need something more robust installed. The other two of the most interest to us are the YRD210 and the YRD220. Both are keyed cylinders with battery power, with the real difference showing up only in the residential grade designation (Grade 3 instead of Grade 2). There’s also a big difference in price tag. So there’s that. 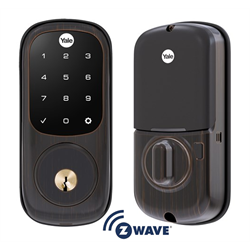 These locks don’t need Z-Wave to work, but with your Resolution hub and Z-Wave enabled, you gain the ability to control or observe these locks from your smart devices no matter where you are. You don’t need to supply keys for contractors, cleaning staff, visitors or staff… just supply them a code or open the lock for them from wherever you are. This is entirely powered by a 9v battery. While it removes the key from the equation, it requires all of your employees/tenants/service staff to carry a 9v battery in their pocket. All they need to do is insert the battery into the bottom receptacle, wait for the lock to power up, and then insert their code. Don’t get me wrong… there are applications for this lock that are 100% legit. We’re treating it like a speciality item, though, until we seem a few more applications that make sense. If you want to know more about Yale, Their website is right here. That link goes to the TL1, but their isn’t much there we can’t use for our purposes. Yale isn’t the only electronic lock brand we’re looking into. 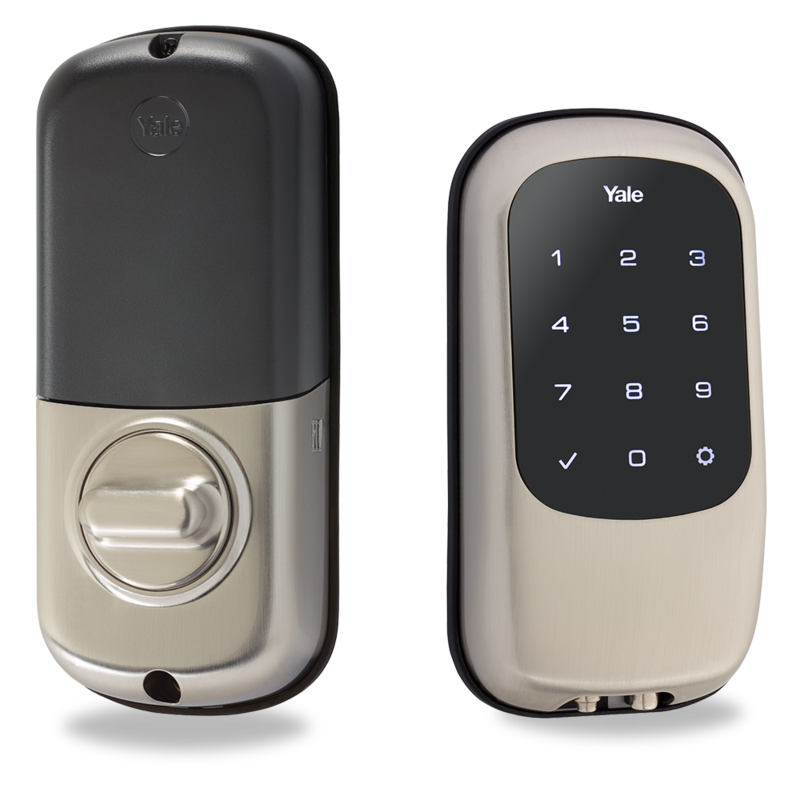 The Schlage line has some as well, and we’ll look more into those at a later date. For now, we like what we’re seeing from the Yale brand. The YRD220 and YRD210 will be on display in the shop in the near future. Feel free to stop by and see if they’ll do what you’re looking for. Self Keying? Not for us thanks. I have been surfing on-line more than three hours today, but I never discovered any interesting article like yours. Hi, I do believe this is an excellent web site. I stumbledupon it 😉 I’m going to revisit yet again since I book marked it. As I website possessor I believe the articles here is very superb, thank you for your efforts. I’ll right away grab your rss feed as I can not in finding your email subscription link or newsletter service. My brother recommended I may like this web site. He was entirely right. This submit truly made my day. You cann’t imagine simply how so much time I had spent for this info! Thanks! I actually wanted to compose a brief remark so as to thank you for all of the wonderful hints you are showing at this website. My extensive internet lookup has finally been honored with high-quality know-how to exchange with my co-workers. I ‘d assume that most of us site visitors are very endowed to live in a fine website with very many brilliant people with insightful advice. I feel truly grateful to have come across the site and look forward to so many more thrilling minutes reading here. Thanks a lot once again for all the details. Good post, i like it very much.I was really lucky to find your website. It’s got a lot of useful info! Outstanding post, you have pointed out some wonderful points, I besides conceive this s a very superb website.